Pesticide-free living: hopeful future or wrong approach? At the end of May, the GCI held its 2nd annual workshop entitled “Next Steps in Green Chemistry Research”, and one topic that was discussed that really resonated with me is the use of different toxins in our environment. Lectures like “Molecular Structures and Toxicology: The Search for Green Poisons” by Professor Keith Solomon and “Environmental Fate , Persistence & Disposition: The Role of Chemical Architecture” by Professor Scott Mabury both mentioned the use of pesticides, and I thought writing about it for my contribution to the blog would be a great way to clear up some misconceptions around the topic. We constantly hear in the news that pesticides are toxic and that they do a lot of harm to the environment. You may have heard of or read the book Silent Spring by Rachel Carson that exposed the negative effects of the widely-used pesticide dichlorodiphenyltrichloroethane (DDT), or new stories about the effect of chemicals on polar bears, and decided as a result to not use pesticides or to only buy organic food. But the story is not that simple in the real world. First, we must define what a pesticide actually is before judging right away that pesticides should not be used and that we should grow everything naturally. In the dictionary, the definition of a pesticide is “a chemical preparation for destroying plant, fungal, or animal pests”. Now ask yourself: what does the definition actually tell you about pesticides? It states that a pesticide is a chemical, which is basically anything you can touch (not just the bubbly stuff chemists work with in laboratories like you see in the movies). This means that anything could be used as a pesticide, even the most harmless product, if it destroys the pests that harm or prevent plants from growing. Paracelsus famously stated that “the dose makes the poison,” but now we are also hearing reports of molecules, such as bisphenol-A (BPA) that act as endocrine disruptors and can cause adverse effects that are not linear with respect to the dose. Again, the picture is complicated. So should we give up using pesticides altogether? Unfortunately, it would be very difficult to meet the world’s need for food without them. The best option would be to make pesticides as green and efficient as possible, so that they accomplish their task of destroying pests with a minimal effect on the environment as a whole. 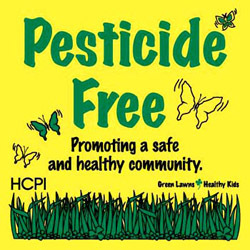 Some of the design criteria for green pesticides include: not oil-based, low persistence, non-toxic to humans or other non-target animals, etc. You may think that in the past, everything was grown naturally and clean, but you are only partially right since nature has a way of taking care of its own problems. There are many naturally occurring compounds that are more poisonous than some of the pesticides we used today. For example, some molds can produce aflatoxin (which is carcinogenic) and can infect cereals, grain, and legumes. If the crops are not treated to destroy these types of molds, then the harvest could potentially be lost or the carcinogens could possibly end up in some of the food we eat. Pesticides are not always the enemy, but they are also not perfect, so we must continuously try to improve them, using all of the tools the chemical industry has to do so. Pesticides can be your friend or your enemy, it’s your choice and your responsibility to be informed about the effects (good or bad) of the products you are using. This entry was posted in Green Initiatives, Kiril Fedorov. Bookmark the permalink.